With so many portable devices, keeping them all charged when you need them becomes a trick. On my recent trip to San Francisco, I found the batteries for both my Sprint Overdrive and cell phone drained en route to waiting for several hours in the airport. The rental car I picked up on Friday didn't have a USB car charging station built in, so I stopped off at the nearest Best Buy to pick up a USB car charger. Looking through the options, I opted for the Griffin PowerJolt Dual Micro, specifically because it had two USB ports. I wasn't disappointed with the choice. One of the reasons I chose the Power Jolt Dual Micro wjas size. This is by far the smallest USB car charger I've ever owned. 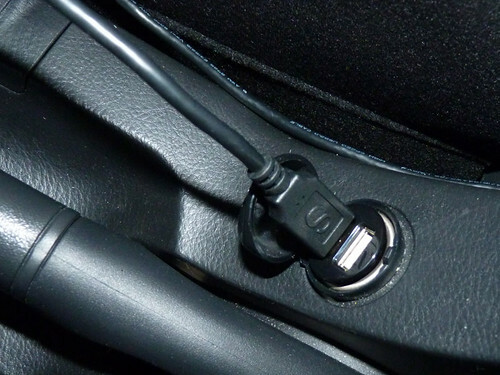 It sits almost flush against the 12-volt outlet in the car, which means it won't get bumped when not in use. I think the design is meant to leave it plugged in all the time, although for travel the size and light weight make it an easy addition to any travel kit. The only thing I don't like about the PowerJolt Dual Micro USB charger is how hard it is to remove from the 12-volt outlet. At the same time, if you are putting it in your own car, the design makes it easy to leave it in all the time.